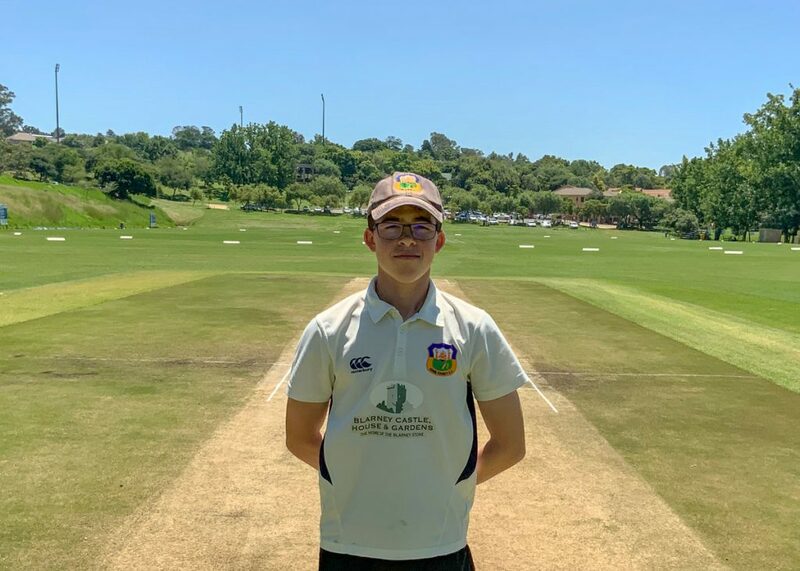 Howzit from sunny Johannesburg, I started my stay at the prestigious St. Stithians School on the 16th January, where I was admitted into Mountstephens boarding house where I was met with a cluster of accommodating students and staff. 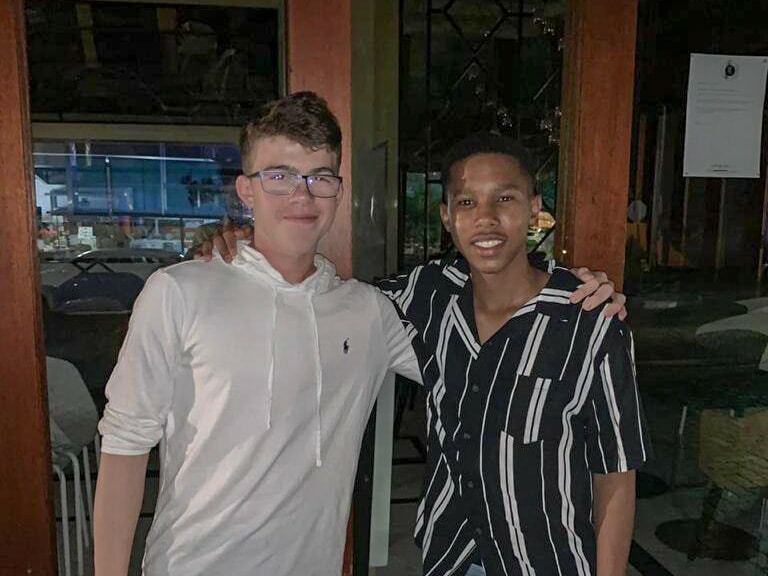 They helped me a lot by showing me around the boarding house and the school, where I also met my host Thando Makwetu who used to captain Gauteng U15A which is the provincial team where I am staying, though they are a much higher standard than ours. Thando’s older brother Wandile Makwetu also played cricket. 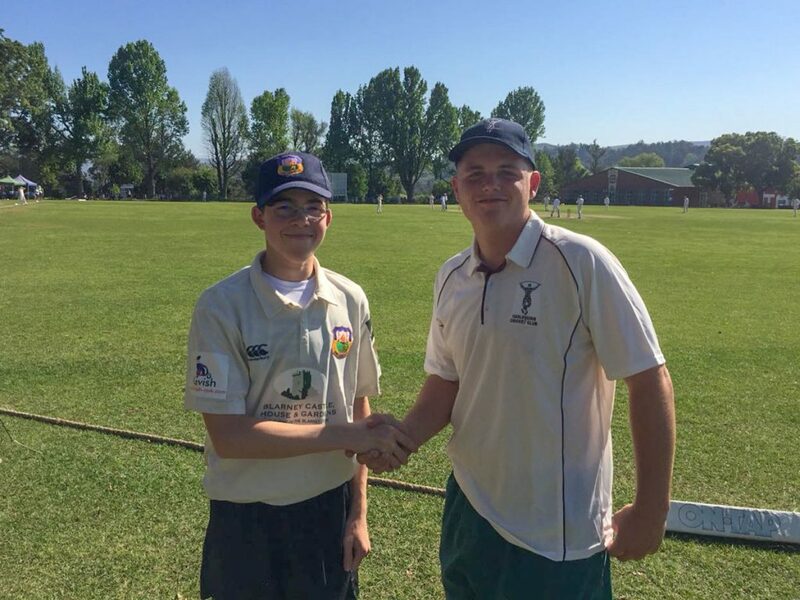 He was captain of South Africa’s U19 side on their tour of England last year and now plays for the Multiply Titans in Pretoria. In my first week in the school I attended the same classes as my host. I found the school work a lot harder than Ireland, as they are a whole half year ahead of us. The school is amazing it has 4 different schools on its campus. At the Boys College we had 7 different cricket pitches, one of which was equipped with flood lights to play day/night matches and was overlooked by a beautiful restaurant with an honours board which had all the name of sportsmen and women who represented South Africa. I was very lucky to get a chance to play there. The main pitch which the first team play on was stunning, the pitch was quick and bouncy, and the pavilion was really nice. The dressing rooms had jerseys of all the cricketers who represented South Africa at any level including Wiaan Mulder and Kagiso Rabada and next to that you had the cricket offices where I first met the Director of cricket at Saints, Wim Jansen who used to play at Pembroke with Ted Williamson. Mr Jansen was very helpful, and he was able to get me lots of game time. The school day was very different to a typical school day in Ireland, but I loved the difference. I was in the boarding house so I would have to wake up at 6 to be ready for room checks at 6:40 we would then go to breakfast at 7:00 to start the day at 7:40. We would normally start with chapel where we would all gather for announcements or war cry’s which was great fun and it was amazing to see how passionate the boys were about their school, after which we would go to school until 2:40, as exchange students we were allowed to go down to the cricket nets during school hours to have private coaching session with Peter Stringer who used to play for Yorkshire. The sessions were very beneficial, and Mr Stringer had so much experience in the game it was great to be able to pick his brain. The training was very tough in the beginning as it was hard to adapt to the hard-bouncy pitches, which also were a joy to bowl on. The high altitude, as Jo’burg sits at 1,750 metres, took some initial adjustment and the scorching heat didn’t help as it was consistently over 30 degrees, but I got used to it quickly. I got to play 5 matches in Jo’burg for St. Stithians and I was lucky enough to play to 2 games for a club in Pretoria called Harlequins. Steve Kruger, who was here, at Cork County last season and will be returning again this summer was extremely helpful and I would like to thank him for setting up the games for me. He is also the Head Coach at Harlequins in Pretoria. The game time was invaluable, and I was able to learn a lot. The highlight of my matches was being able to play in a day/night match which was a great experience for myself and the other exchanges, who wouldn’t have the the facilities back home. It was amazing to play under the lights and to see what the ball does, it swung miles and because of the low pressure the ball was able to travel a lot further. It was great to experience life outside of cricket in South Africa also, I was able to meet my cousins who live here, go on a game drive which is amazing as you can see animals in their natural habitats and the sunsets were beautiful. The food there was also excellent and it great to try all the foods my mother who is also from Jo’burg would have grown up on. If anyone decides to visit this wonderful place I would definitely recommend trying, boerewors roll which is a bit like a hot dog, any good steak house as the flavouring the put on is amazing and spar letta Creme Soda is a great pairing for any food. I went home to the Makwetu’s nearly every weekend and I was welcomed by Thando’s parents, Miranda and Kimi Makwetu who were gracious and kind hosts and helped me with whatever I needed and were able to get Thando and I tickets to the Pink ODI at Wanderers. It was amazing to be part of such a momentous occasion and the atmosphere was electric and although South Africa lost, I had a great day. I’d like to thank the Makwetu’s for making my trip so great. Just before I left South Africa St. Stithians 1st team had won the Johnny Waite Cup final, which is a big competition in Johannesburg, and the school that won would represent the Lions, which is the cricket franchise in Jo’burg, in the Coca-Cola T20 Schools competition in which the six best cricket schools in the country plus two development teams get pitted against each other at the end of the season in a cricket week. I was amazed to see how much work went into to the competition. All the boys got amazing new kit complete with everything you could imagine, from match shirts to Coca-Cola head phones and at an opening ceremony they all received their certificates for their participation in the event. All the matches were live streamed on the cricket South Africa and PitchVision YouTube channel. The whole experience for the boys must have been invaluable, especially since St. Stithians won the competition for the 4th time in the six years it had been running. They had a whole presentation and an interview with the captains. 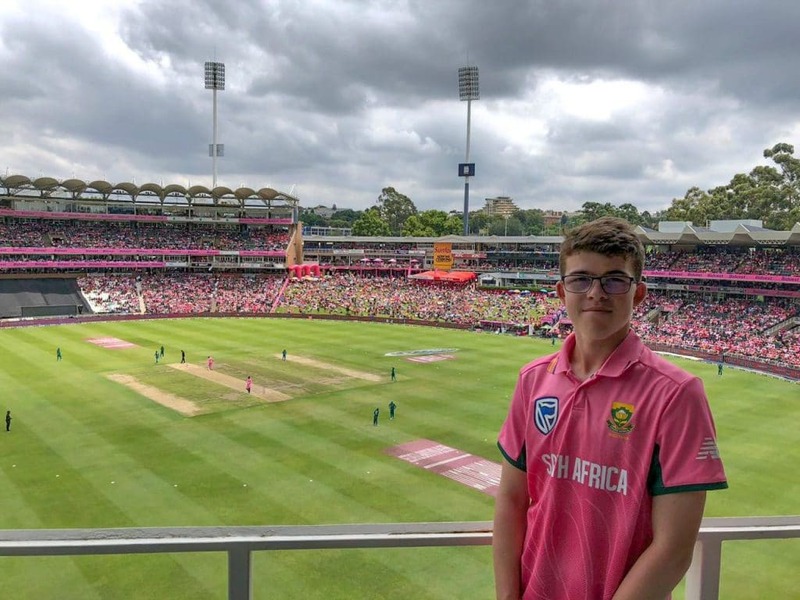 The whole idea of the structure of the tournament is to give the boys a taste of what the life of a professional cricketer might be like and it was great to see. The boys received cash prizes for man of the match or if they obtained batsman or bowler of the tournament, which I’m sure we’d appreciate here. All in all, it was great to see how this sort of thing was set up a got me thinking it would be quite easy to do if we got the right sponsorship here. I thoroughly enjoyed my whole experience of being in South Africa and would love to go back again. The cricket experience I had here was invaluable and I hope to take it into the new season in Ireland. 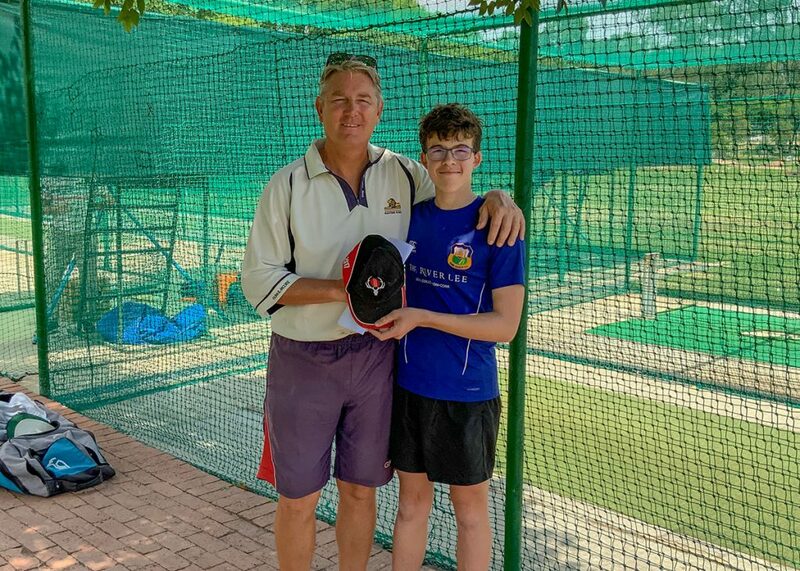 I would like to thank St. Stithians for allowing me into their school and to Mr Jansen and Mr Stringer for helping me with my cricket training and experience in the school and also to Mrs Gretchen Maruggi for organising the trip for me. Lastly, I’d like to thank the Makwetu Family for allowing into their home and to Thando and all the other boarders for making my time at Saints so wonderful. This entry was posted on Tuesday, April 9th, 2019 at 6:11 pm	and is filed under Cork Cricket, Cricket Ireland, Munster Cricket Union, News.